Tuber refers to a type of plant structure that has enlarged to store extra nutrients. Many plants use tubers to survive drought or the winter months. The tubers provide the plant with enough energy and nutrients to re-grow when they are next able. Additionally, tubers allow asexual reproduction in several types of plants. There are two types of tubers, stem tubers and root tubers. Stem tubers form along the sides of the plant, close to the soil. They grow thick stems, produce leaves and send roots into the ground. Some tubers will grow buds, which will later be used for the plant’s reproduction. When winter comes, the entire plant and most of the tubers die. Only the tuber with the most dominant bud survives. Come spring, the plant uses this tuber to produce new offspring. A root tuber, also called a storage root, is a modified root that doubles as a nutrient storage for the plant. A root tuber is similar in function and appearance to a stem tuber, but it can grow from any underground point on the plant. Root tubers produce no leaves and do not die as winter approaches. Rather, they live and store valuable nutrients while the plant is dormant. This allows the plant to grow back the following season. Potatoes, sweet potatoes and yams are the most common plants that produce prominent tubers. These plants grow underground and reproduce by means of the tubers they send out. It is most common to remove and discard the tubers before using any of these plants in cooking. You can find an example of tubers in your own pantry, without looking further than your bag of potatoes. 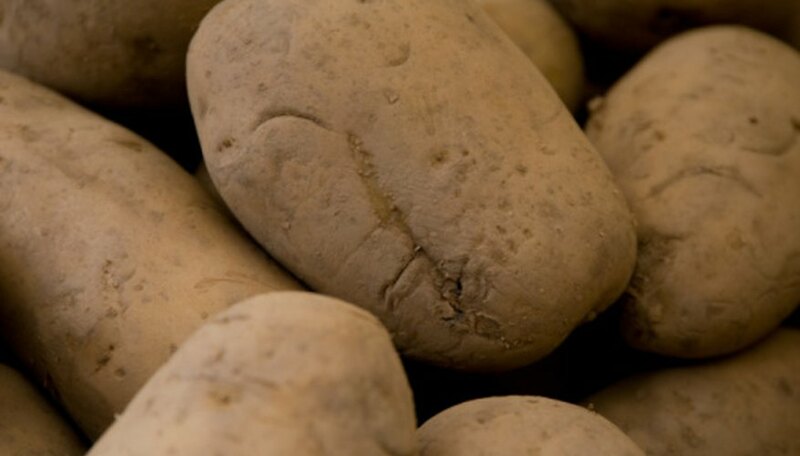 Allow a potato to sit for one to two months and it will begin to produce its own tubers in an attempt to grow. The tubers will sprout from all sides of the potato and appear as small, thick roots. Should you plant the potato in soil and water it regularly, eventually you will notice leafy greens sprouting above the ground.